The Somerset Patriots of the Atlantic League of Professional Baseball are looking for a highly motivated, upbeat, and hard working individual to fill the position of VISITING Clubhouse Manager for the 2019 season. This is your chance to be part of one of the most successful Teams in the Atlantic League, both on the field and off the field. The VISITING Clubhouse Manager for the Somerset Patriots will work directly with the Vice President of Operations and the Head Clubhouse Manager. The VISITING Clubhouse Manager will be responsible for managing the day-to-day operation of the Visitor’s Clubhouse and the Umpires Locker Room. This is a seasonal position, running from April 20th through the end of the Somerset Patriots season. Compensation: $90 Per Game or Event Day Worked. Additional compensation can also be earned through tips from Players, Coaches, and the Clubhouse Manager for exceptional service. Please be sure to attach Resumes and Cover Letters when Applying. If you would like to work for the Somerset Patriots this season as an usher, ticket taker, customer service representative, Fun Zone staffer, or other game day roles, Click Here For An Application! The Somerset Patriots and Major League Baseball are looking for a Gameday Scoring Stringer to work alongside the team’s official scorer at TD Bank Ballpark for the 2019 season. Inputting all pitches and plays that occur during the game into the scoring program (MLB Stringer UI). Will work closely with the official scorer to enter his/her decisions into the scoring computer. Availability online and reachable via Slack at least one hour before the game starts- this is to check rosters, input lineups and generally check in with the MLB support person for the game. The stringer will be in contact during the game with an MLB support person to help with any issues encountered during the game- incorrect or missing data, sending corrections, and answering any questions. Postgame, the boxscore will be checked with the official scorer for any inaccuracies. Once the official scorer agrees with what has been entered, the Gameday Scoring Stringer sends the final data. Must have an understanding about the rules of baseball and scoring. Must have a knowledge of computers. Must be available and present at the ballpark at least 1½ hours before game time. Must have flexible availability for nights, weekends, and some day games from April 26th through October 6th. Must be within commuting distance of Bridgewater, NJ. MLB job training is approximately 20 hours of using the scoring program. This is a game day position only. Pay will consist of a daily stipend by the Atlantic League and MLB that is to be determined. Position: The Somerset Patriots have seasonal positions available on the grounds crew for 2019. Applicants should be available full time from 3/18-11/1. The position offers a competitive salary and applicants must be available for all Patriot games and events scheduled including nights, weekends, and some holidays. This position is designed for individuals looking to gain full season grounds experience with schedule and responsibilities similar to a head groundskeeper. Crew members should be willing to work long hours in various weather conditions with typical game day hrs being approximately 9AM-11PM. Applicants must be available for an in-person interview at TD Bank Ballpark. Job Description: Assist head groundskeeper with maintaining a professional baseball field including infield dirt and mound care, edging, painting, mowing, tarp pulls, landscaping, turf maintenance, set up for batting practice / games and non-baseball events, and other duties as assigned. Crew members will also assist with diagnosing turf issues and planning cultural practices. Preference will be given to applicants who have experience operating grounds equipment including mowers, trimmers, blowers, and utility vehicles. 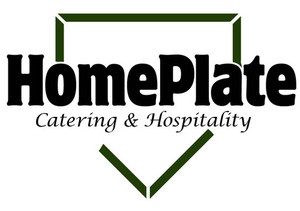 HomePlate Catering and Hospitality is an Equal Opportunity Employer. All positions are accompanied by a competitive wage.